If you've watched enough horror movies then you know that there is something about a humming child in a dimly lit room that is inherently wrong. What is with those parents that move their children to dark old houses, dress them in old-fashioned clothing, and surround them with the creepiest ragged dolls and wind-up toys? Those people are practically asking for their children to become possessed. Once there are so many opportunities for creeping a parent out those evil entities can hardly help themselves. The evil twin is a classic trope from horror movies. Who wants to admit that one of their children is a bad seed through and through? When it's storming outside and the lights flicker out, it's going to be too late for mommy and daddy. When that parent goes through the house with their flickering flashlight calling the evil little girl's name they aren't going to get a straight answer, that's for sure. What those naive parents are going to hear is the unnaturally fast patter of feet in the unused attic and maybe some high pitched humming to make the situation more creepy. And when they get to the overcrowded dark attic? As soon as the dim beam of the flashlight flicks over the creepy twin, guess what happens, that's right, the flashlight goes out! 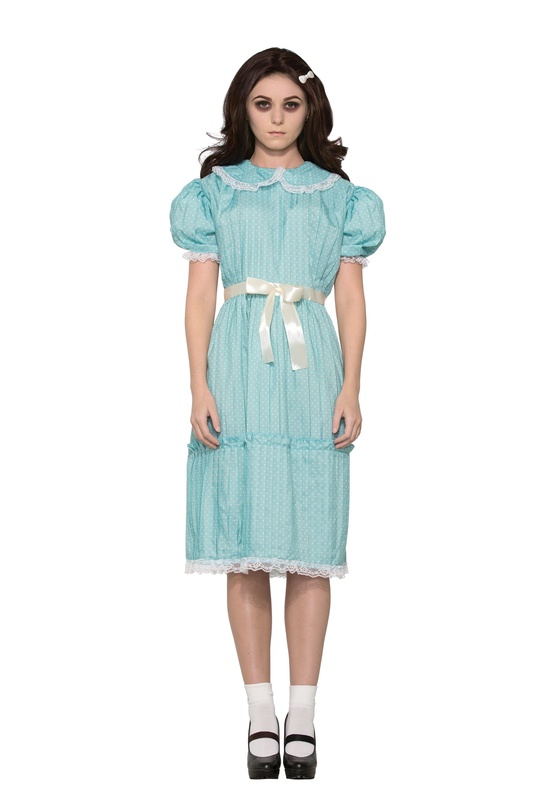 Now you can become that supposedly innocent little girl. 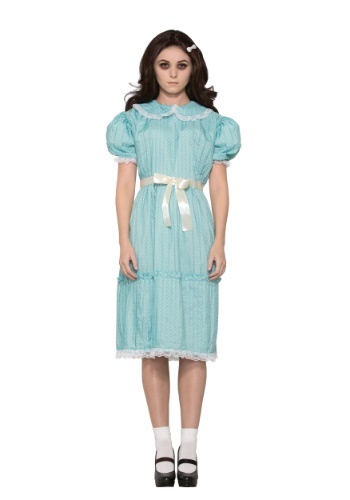 This dress with its puffed sleeves and ribbon belt perfectly encompasses the stereotype of the overly sweet evil twin. After all, what's wrong with talking to china dolls, why not play the same three notes on that grand piano again and again, what's the matter with waiting in a dark room for your unsuspecting mother? Nothing really, right? Kids will be kids.